The Academy for Lifelong Learning (ALL) is an organization for active adults (50+) offering classes and social activities for continued intellectual and personal growth. 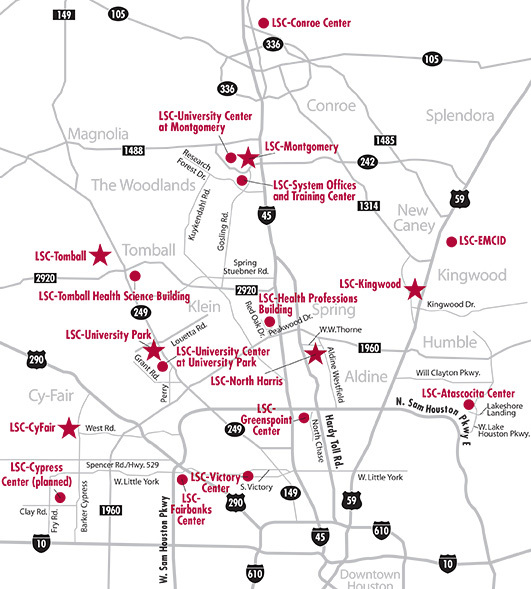 Check out the LSC-CyFair events calendar for campus happenings or read about news and events of interest to community members. AARP Driver Safety Program is a four-hour classroom refresher targeted to older individuals who are interested in improving their driving skills. Larry Kline, ALL member, will be presenting the class. Participants will review the "rules of the road" and defensive driving practices. Time will be provided for registration, instruction, certification preparation and distribution. Most auto insurers will discount your premium if you take this class, but attendance will not allow you to dismiss a moving violation ticket. Course fee (payable by check to AARP on the day of the class) is $15 for AARP members (must present your AARP card to receive full discount) and $20 for non-members. Bring your driver's license. Light refreshments will be available. Maximum class size is 30. YOU MUST SIGN UP FOR THIS CLASS DURING THE OPEN HOUSE/REGISTRATION. SIGN THE WAIT LIST IF MAX HAS BEEN MET. Cancellations often occur; you will likely clear the wait list. Attend the college's theater and music productions at a reduced price. To get information, go to CASA 116 in the Continuing Education office. To register and make a payment, go to the Registration Office in the CASA building. We accept check, cash or credit card. Past members: please bring your student IDs to receive a new sticker. New members will be given a voucher to take to the library to get a student ID. Where are classes usually held? HSC 106 unless otherwise noted in the LSC-CyFair ALL Schedule. Is there wheelchair access? Yes, the campus is ADA compliant. Is online registration available? Not at this time. Where can I get more information? CASA 116 or call 281.290.3460. No refunds are given for yearly Academy for Lifelong Learning membership fees. Regarding classes, members must officially withdraw before class begins to receive a refund for the course fee. Otherwise, no refund will be given. Material fees are not refundable.